Low floor articulated cars are becoming popular in Europe. Portland OR now has some operating on their lines, and we'll surely see more of them in the USA. As you can see, trolleys have come a long way in the last century or so. Once thought to be nearly extinct, it's now become apparent that they'll be around in increasing numbers in the next century. 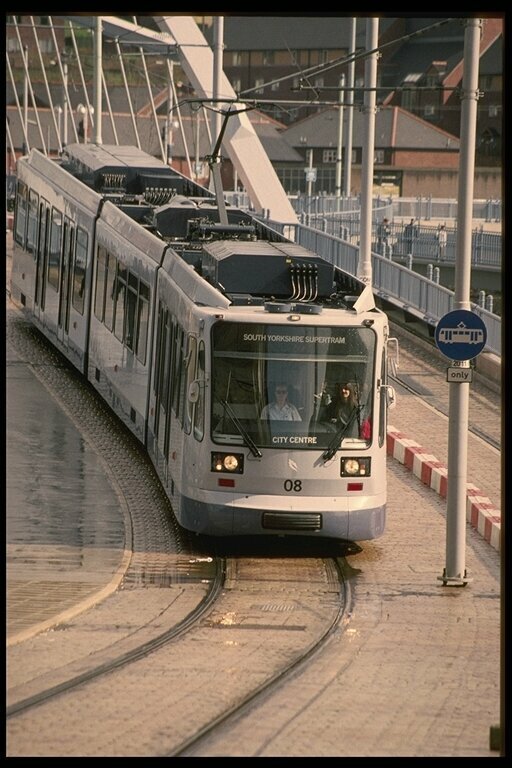 Cities are beginning to realize that the trolley (in the form of light rail vehicles) is an efficient way of moving people. Transportation Token Forum - Information on collecting and trading transportation tokens. The Information Train Station - You'll find trolley links in the tourist railway and transit sections. RailroadPix.com - Photos of trolleys can be found in several of the libraries, including Preservation, Passenger, and Historical.